A Scottish farmer’s son whose career has given him years’ of experience in retail farm machinery sales is now finding out what life on the other side of the fence is like as the new area sales manager in Scotland for tractor distributor AgriArgo UK. Robert ‘Bob’ Bain joined the Landini and McCormick tractor distributor for Great Britain from his previous post as manager at Agricar’s Doune branch near Stirling. Before that he worked in sales at Reekie Group. 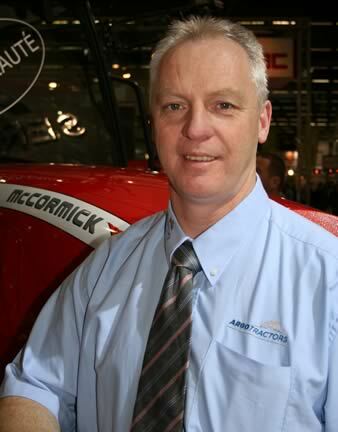 Bob Bain has taken on the role of area sales manager for Scotland with Landini and McCormick tractor distributor AgriArgo UK. Living near Stirling with his wife of 25 years and their son and daughter, Bob is ideally located to work with AgriArgo’s network of dealers across Scotland, helping to specify the right tractor for different farm circumstances.